You are at:Home»Student Life»Academics»Are you advancing in your placement? Tasha Greene 20' studies over her AP Human Geography textbook. Advanced placement (AP) classes can be beneficial or redundant. 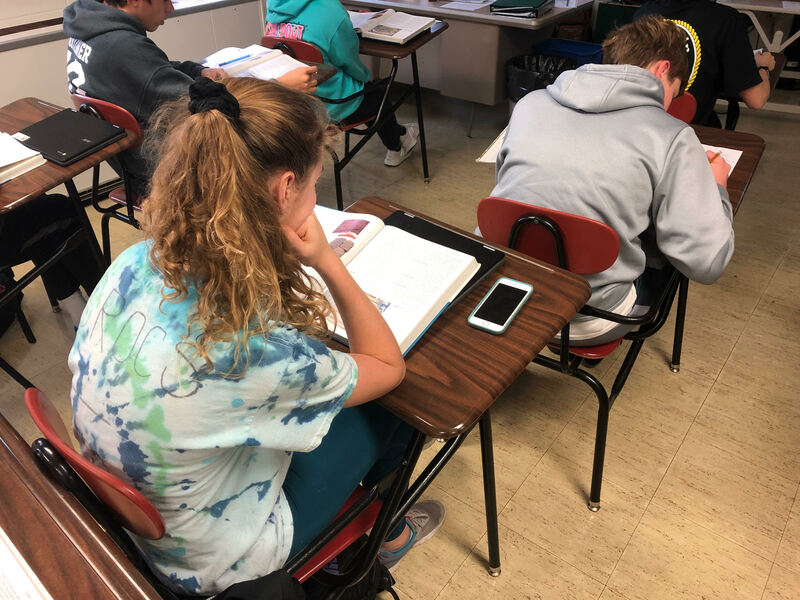 For some students the classes can be beneficial in helping students prepare for college classes, but for some it could be the most difficult quarter of their high school career. Lauren Swanger 21’, has taken one AP class, AP Human Geography, taught by Mr. Voss. Swanger wanted to take an AP class because she wanted to experience the rigorous learning style of a college course. She also didn’t mind the benefits of having some college credits under her belt. “By taking that class, I have learned how to push myself by studying more and to learned how to cram more information in a shorter amount of time,” she said. In the eyes of Mr. Voss he sees great benefits of taking an AP class. He believes that challenging students early on with hard work ethic and college experiences opens students mind to the critical world. For the most part people take AP classes to get college credits or college hours. For this to happen, you would have to take the AP exam that is offered every May. After taking the test you will be scored on a scale of 1-5. A score of 1-2 means that you are not qualified for college credits and or hours. If you score 3 you are qualified and a score of 4-5 means that you are extremely qualified. Although the test costs $94 if you are prepared to take it and studied thoroughly then you shouldn’t have to worry. AP classes are beneficial in many ways from preparing for future college classes and earning college credits and hours.